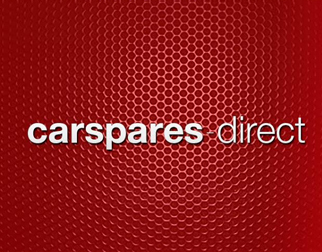 These terms and conditions apply to the purchase of any goods from Carspares-Direct. By placing an order via phone, email, fax or website you are deemed to have accepted all the terms and conditions set out below. Please read them carefully as they contain important information. 1. All items will be sent to the address given on the order details – Please ensure somebody at the address is available to receive the parcel we send you as the item may end up being returned to us and you will incur a cost for this. Similarly, if the item is refused or if the address provided is incorrect then we will have to charge you for this. Note: The first line of the address must include both door number and the street name. As we send parcels using a courier, the address has to be exact otherwise we’ll have to charge and you will incur a cost to rectify this. 2. Please check this is correct part, size and fittings before buying. We do our best to list items with as many details as possible. So please check our details match yours and ask a question if you’re not sure. It is the buyer’s responsibility to check that the item they purchase is identical to their original part. Mistakes take time and money to rectify. 3. If an item is incorrectly ordered or no longer needed, the item can be returned for a refund, however, please note that we will refund you for the item minus our postage cost of £4.90 - £6.90(which may not have been included in the price). 4. Any items that have been returned must be in its original condition, not tampered with in any way possible, and in the original packaging. If the item is used, we are unable to accept the goods back. 5. Our warranty will only cover a replacement for any faulty item, and not a refund. No refunds can be issued after 14 days from the purchase date. 6. Warranty starts from the date of purchase (please keep proof and date of purchase recorded and safe). 7. THERE IS NO REFUNDS OR WARRANTY ON ITEMS THAT HAVE BEEN FITTED BY NON QUALIFIED MECHANICS 8. Our warranty is limited liability for product only and does not cover labour / fitting / inconvenience /car hire / breakdown charge or any other cost. 9. For any warranty claims, we would need a letter from the mechanic who fitted the part which has the business letterhead, to provide to our suppliers. Without this letter we are unable to make any warranty claims. We will not arrange collection or pay postage costs for the product to be sent back to us. 10. Please note, we are not held responsible for any lost items that have been dispatched with a non-tracked service, (including items lost Outside the UK). Many items can get lost with Royal Mail so please bare this in mind before using their service, because we can’t send out a replacement unless you purchase the item again. We encourage all buyers to select a tracked service on checkout as we find these to be the most reliable methods. If the item you wish to purchase doesn’t have a tracked service, then please contact us before purchasing so we can make this service available. 11. All items purchased are sent out with a 3rd party courier so we are not responsible for any problems that may have occurred, such as loss or damage. In the rare event that your item has been delayed and not within the timescale estimated, we can’t be held responsible for this delay, and/or any costs that you have incurred as a result. If your item hasn’t arrived on time then please call us so we can try to locate the whereabouts of your item. 12. Any damages must be reported to us within 24 hours for us to raise any claims with our courier. Any claims after 24 hours will be dismissed for a claim. We will not arrange collection or pay postage costs for the product to be sent back to us. 13. In the rare occasion we tell you a part will fit your car registration details turns out to be the incorrect part, whether that’s by phone/message/email, we can’t be held responsible as the 3rd Party system we use may have mistakes. So please always double check that the item you are looking at is identical and the measurements in the description are the same as the one you require. 14. Any orders placed will be dispatched to the address provided straight away, so if you wish to cancel your order or change the address then you have to call us and let us know as soon as possible. If you send a message via email then we can’t guarantee that your request will reach us in time as we get lots of messages to get through and may only get to your message after the goods have been dispatched. All messages get picked up from our Customer Service Department who are not involved directly with orders being dispatched, so you have to call us. Please note, same day dispatch is 2PM on weekdays so the item you may want to have cancel could have already left us. If we are just told via email, we may not see it in time and cannot be held responsible for any costs incurred. All items are dispatched same day given the item is made Monday – Friday before 2pm. Our Standard (2-3 working days) and Express (1 working day) delivery is for Mainland UK only. Non-mainland UK addresses include the following: HIGHLANDS, IRELAND, CHANNEL ISLANDS, JERSEY, ISLE OF WIGHT And the following postcode areas AB31to>38, AB42to>56, BT>ALL, FK17to>22, G83, GY>ALL, HS1>9, IM>ALL, IV>ALL, JE>ALL, KA27to>28, KW>ALL, PA>ALL, PH5to>50, TR21to>25, ZE>ALL All areas / countries outside of mainland UK please contact for postage cost before placing your order. Packages may need to be signed for, or if the courier decides, left in a secure location. Please note that we do not deliver outside working hours, at weekends or Bank Holidays. Deliveries are Monday to Friday. All orders taken outside of working hours (and weekends) will be dispatched the following working day.